In 1997, the College Alcohol Survey, a national study conducted by the Harvard School of Public Health, found that 62.5% of University of Nebraska—Lincoln students engaged in binge drinking at least once in a two-week period. (The graphic showing the binge drinking rates at UNL can be removed.) The University was invited to apply for one of ten A Matter of Degree grants from The Robert Wood Johnson Foundation to address the problem from a comprehensive environmental approach. The NU Directions Campus Community Coalition was formed, and an ambitious strategic plan was developed and implemented. 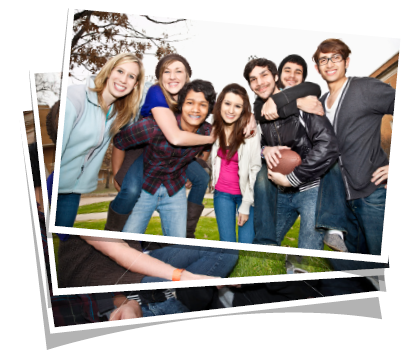 The effort proved successful, and in 2006, the NU Directions coalition and the Nebraska Prevention Center for Alcohol and Drug Abuse were awarded a Model Program grant from the United States Department of Education's Safe and Drug-Free Schools to replicate the effort across the state of Nebraska. On March 1, 2006, thirteen institutions of higher education made the commitment to address high-risk drinking on their campuses and formed the Nebraska Collegiate Consortium to Reduce High-Risk Drinking (NCC). Since its inception, the NCC's membership has grown to include 27 institutions of higher education which have participated in extensive training in campus organizing, environmental scanning, strategic planning, and other essential skills related to reducing high-risk drinking. The Nebraska Prevention Center has also been involved in the collection of statewide data related to alcohol use and related harms among 18 – 24 year olds. The Nebraska Collegiate Consortium to Reduce High-Risk Drinking utilizes a comprehensive environmental approach to reducing high-risk drinking.